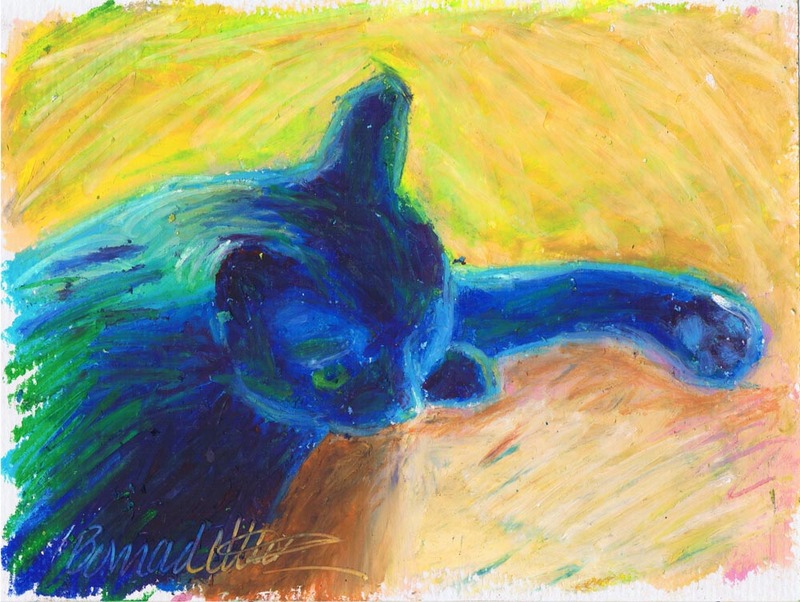 This art is “In Window Light”, 5″ x 7″ oil pastel on textured paper, © Bernadette E. Kazmarski, signed and dated 5/26/12. I’ve been working out this style now following Two Cats After van Gogh. In fact, in my garden flags, this image backs Two Cats After van Gogh, and I just finished a few keepsake boxes bearing the image. Sweet Mimi, so inspiring! So inspiring, it won the President’s Award along with Two Cats After van Gogh in the Cat Writers Association 2013 Communications Contest. Read about that here. This entry was posted on March 24, 2019 by Bernadette.